Quotes From ALL High Risk Companies! High risk insurance in Ontario doesn’t have to mean expensive. If you are faced with high risk insurance, whether it’s for your car, home, or business, you have options. Rather than turn you away when you need the help of an insurance professional the most, our brokers will work with you to help you explore your options for high risk insurance in Ontario so you can get the insurance coverage you need at the cheapest rates possible. Why Choose ThinkInsure For High Risk Insurance? We Can Compare Quotes From All High Risk Insurance Companies : We offer the best high risk insurance options, cheapest quotes and coverage options from all Ontario high risk insurance companies. Get Cheap Rates For High Risk Insurance : Regardless of your insurance situation, we’ll work with you and our network of insurance companies to help you find the cheapest high risk insurance rates. Expert Advice For High Risk Insurance : We understand that you may not be familiar with what high risk insurance entails. But don’t worry – our brokers are here to provide you with the expert advice you need. Your Insurance Needs Come First : Regardless of your insurance needs, and especially if you’ve been labelled high risk, your needs will ALWAYS come first when you get insurance with us. 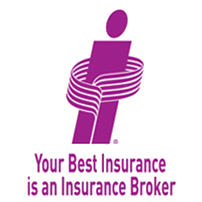 Call us toll-free at 1-855-550-5515 and one of our high risk brokers will be happy to help you get insurance coverage. Every company has different criteria for what makes a driver eligible for regular or standard car insurance coverage. Some of the factors are related to driving history while others are non-driving related. They consider drivers high risk when they are identified as having a greater likelihood than other drivers of being in an at-fault accident. Simply put – insurers see you as a riskier driver and are either not willing to take on the risk or will insure you at a high car insurance rate. High risk insurance, sometimes referred to as second chance insurance, is not something you tend to think about or research until you need it. If you’ve been labelled high risk, then it’s important to understand how this impacts your insurability. High risk insurance is coverage that has been specifically designed for people or businesses that have been deemed to be higher risk. This means you are considered to be more likely to file a claim, default on payments, or you’ve have had some insurance issues in the past. If you’ve been labelled high risk, don’t panic. We can help! Our brokers specialize in helping people across Ontario get insurance coverage, even if you have had insurance issues in the past. Payment issues or poor credit history. Gaps in insurance, or you’ve never been insured in the past. Too many tickets, car accidents, or you’ve had your license suspended. You own an older home that has some issues. You operate a business that is considered high risk. Regardless of your reason for needing high risk insurance, our team can ensure you get the cheapest high risk insurance rates possible. Call 1-855-550-5515 to explore your options or get a high risk insurance quote. We don’t shy away from customers when they need high risk insurance. We embrace you because you need reliable and affordable insurance coverage just like anyone else. This is why we are the best high risk insurance broker in Ontario. You can expect the same level of exceptional service, dedication to helping you get the cheapest rates, and expert advice. Save on high risk insurance. Call us to speak with a high risk car insurance expert to save more! Have you been labelled a high risk driver? Having issues getting auto insurance coverage? Good news! ThinkInsure specializes in cheap car insurance for high risk drivers, and we can help you get the coverage you need to get back on the road. Whether you’ve had a few too many speeding tickets, been involved in a couple of unfortunate accidents or have had payment issues in the past, our brokers can help! Explore your options for high risk auto insurance in Ontario. Protecting your home with high quality home insurance is extremely important. However, it can be difficult to get the coverage you need if you’ve been labelled high risk by your insurer. Whether you’ve had multiple claims, own an older home, or even had your policy cancelled in the past, our home insurance brokers can work with you to ensure your home and belongings are covered. Learn more about your options for high risk home insurance in Ontario. Are you having issues getting insurance for your business? Does your business have inherent risks associated with operations that insurers deem to be high risk? Had some issues with insurance coverage in the past? Regardless of your issues or why you require high risk commercial insurance in Ontario, our brokers can help you get the insurance you need for your business. Read more about high risk commercial insurance. What Is The Average Cost Of High Risk Insurance? Insurance rates vary from person to person. We know this. Where you live, your insurance history, the type of car you drive, the size of your home, and the type of business you operate all play a factor in determining your insurance rates. Much like regular insurance coverage, your rates and how much you can expect to pay will vary based on your specific situation. In general, if you’re high risk, expect to pay more than the average insurance rate. In some cases, depending on why you’ve been labelled high risk, you could pay double than the average person. Since the cost of high risk insurance in Ontario can vary greatly, it’s important to have an experienced broker on your side – like us! We’ll help you assess your situation, explore cost options, and help you get the cheapest high risk insurance rates, given your situation. Have questions about a high risk insurance company? Give us a call. Our brokers are happy to answer your questions. Any person or business could require high risk insurance coverage in Ontario. However, large cities are more commonly associated with high risk insurance in Ontario. Why is this the case? There is more traffic, there are more older homes, more businesses, and more risk associated with insurance policies. Need high risk insurance in Toronto, Ottawa, Mississauga, or anywhere else in the GTA? Know that you can still get insurance if you are considered to be high risk when you choose ThinkInsure. Getting a high risk insurance quote is always your best option to get the best coverage at rates you can afford. However, you increase your odds of getting cheaper rates when you work with a high risk insurance broker, like us. Our expert brokers can help you compare high risk insurance rates, explain your insurance options and ensure you get high quality insurance coverage. Get cheap high risk insurance today! Call us toll-free at 1-855-550-5515 to get a high risk insurance quote or to ask questions about high risk insurance in Ontario.